Slip and fall accidents are common, and mostly occur on wet, slippery, or uneven floors. Victims can also slip and fall on stairs that are too steep, too narrow, or not properly maintained. These accidents can result in minor to serious injury. Sometimes the resulting injuries are catastrophic, resulting in permanent disability and requiring ongoing care. In still other cases, the injuries can be fatal. Property owners have an obligation to do everything in their power to prevent these accidents, and may be required to pay damages if their negligence results in injury. If you or a loved one has been injured, a slip and fall accident lawyer at our Jackson, MS, firm can help you obtain compensation for medical and rehabilitation expenses, as well as pain and suffering. Schedule your free consultation today. Property owners have an obligation to take measures to prevent slip and fall accidents. Slip and fall accidents fall under the category of premises liability cases because these injuries generally occur on the property of another party. They can take place at work or on commercial, residential, or governmental property. Under premises liability law, a property owner is held responsible for maintaining safe conditions and providing ample warning of any hazards. He or she can be considered negligent if a hazard causes an accident on the premises. Our slip and fall attorneys work diligently to ensure that victims of slip and fall accidents receive fair compensation for their losses. 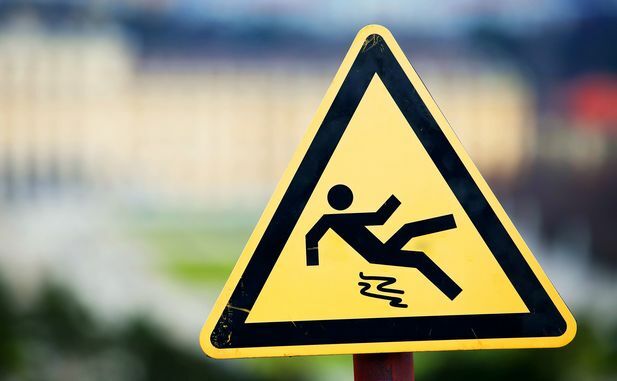 Successfully pursuing a slip and fall accident claim requires the assistance of an experienced premises liability lawyer. Your attorney must demonstrate that the property owner or manager failed to take proper precautions. Your attorney must also prove that the injured party exercised reasonable care and that it was not his or her negligence that resulted in the slip and fall accident. If you have been injured in a slip and fall accident, you should immediately seek medical help and notify the property owner or manager. If possible, you should take photos of any obvious hazards that caused your fall and collect the contact information of any witnesses. It is in your best interest to consult with an attorney before talking to insurance representatives who may contact you. It is the insurance adjustors' goal to save money by minimizing your claim. If they reach out, simply tell them you are deferring all questions to your attorney. An attorney at Owens Moss can determine whether you are entitled to compensation for your injuries. Damages may include current and future medical bills, rehabilitation costs, and lost wages. Additional compensation can be awarded for pain and suffering, mental anguish, and diminished quality of life. You can depend on us to create a solid case on your behalf that illustrates the full extent of your losses and proves where liability lies. The law firm of Owens Moss is certified AV Preeminent® by the Martindale-Hubbell® Peer Review Ratings™ system, the highest certification given to attorneys. Contact us to schedule a consultation if you have been injured as the result of an improperly maintained or unsafe property. We can help you obtain the compensation to which you are entitled.